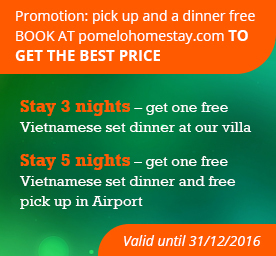 Welcome to Pomelo Garden Homestay Villa! 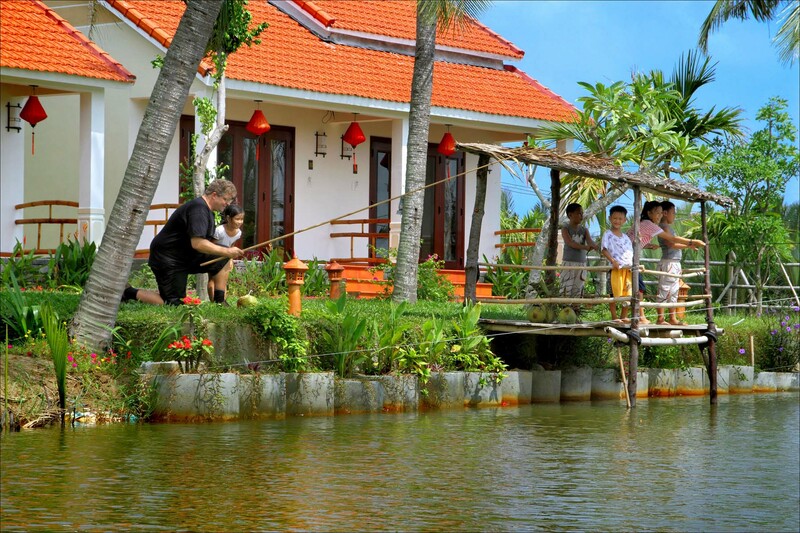 The Pomelo Garden Homestay Villa is located at Cam Thanh village, situated half way from Hoi An city and Cua Dai Beach. 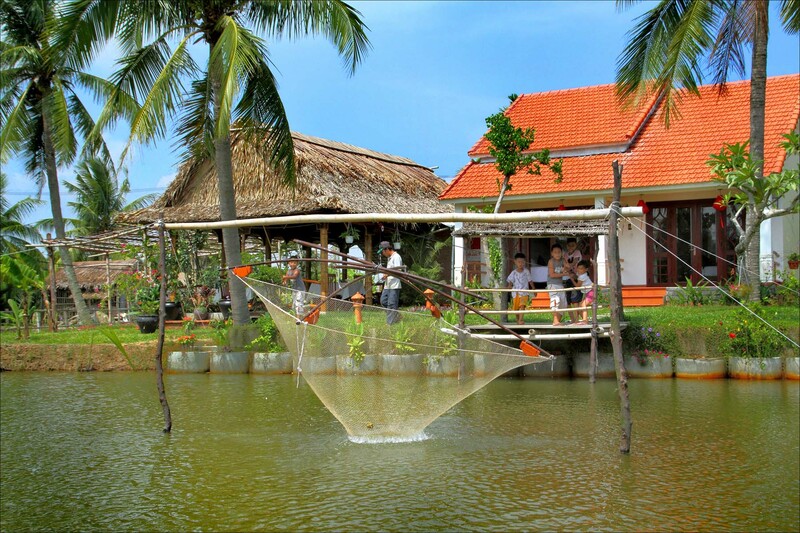 It is surrounded by coconut groves, rice paddies, vegetable gardens and fish ponds. 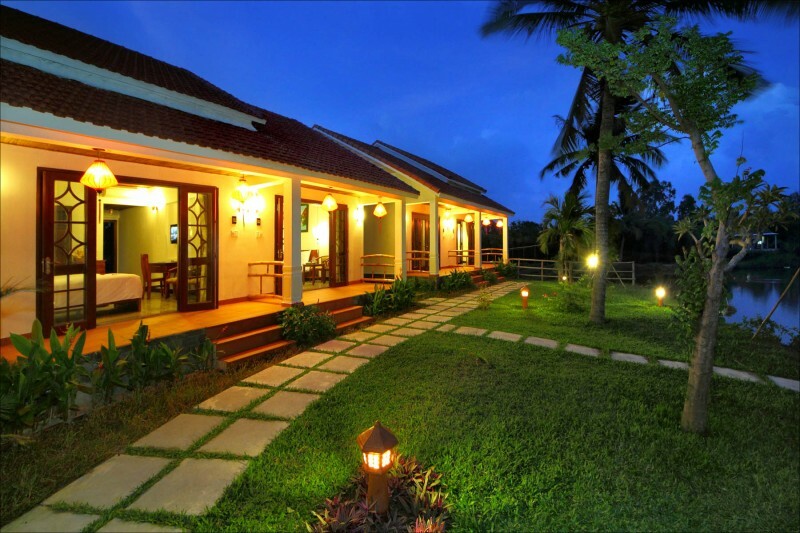 It has a restaurant and spa for relaxation after your day’s adventure exploring the village of Hoi An. Guests have free use of bicycles to visit the local countryside and the many attractions around the fishing village. Included are 4 rooms and 1 connecting room for a family with modern equipped facilities, private bathroom with shower, LCD cable TV with international channels, minibar, refrigerator, air conditioning, wireless internet, writing desk, free water, tea and coffee daily in your room. Our friendly service will make you feel at home and our hospitality will impress you. They include free services such as bicycles, free fishing at the pond and information on the local attractions. In addition we offer information and can arrange tours of Hoi An, My Son, and Da Nang. 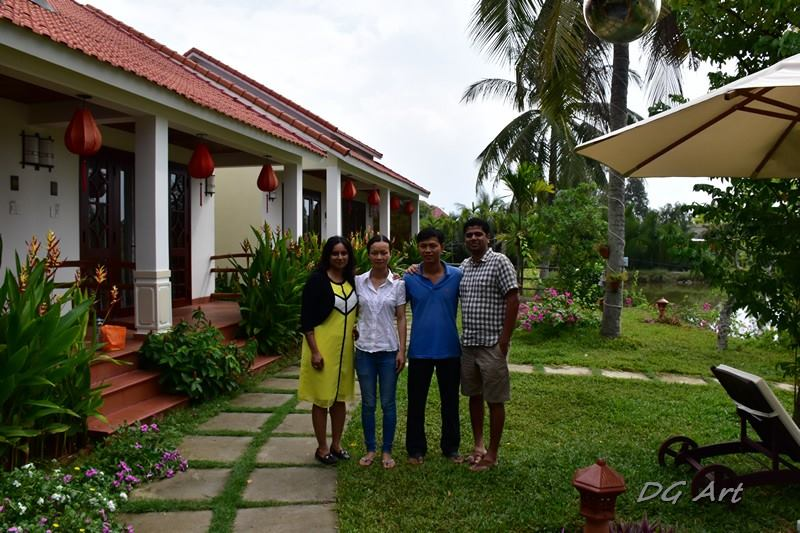 © 2015 Pomelo Garden Homestay Villa.